A driver navigates icy roads in Seattle on Sunday, Feb. 10, just as another round of snow starts. The Space Needle is shrouded in snow during the beginning of a winter storm Feb. 8. Snow engulfs downtown Seattle on Feb. 8. Traffic backs up well before typical rush hour Feb. 8 as drivers race home before conditions worsen. Mass went so far as to call the incoming storm “one of the greatest snow events in decades,” perhaps the snowiest period since December 1996 when Seattle received 21 inches. Mass told environment reporter Bellamy Pailthorp that initial forecasts showed the storm rolling in around 4 p.m., but now it looks like it will come into the area around lunchtime. "It will definitely be snowing by 3 or 4," he said. Mass added that there's almost no uncertainty that several inches will accumulate, with more uniform amounts than the region saw Monday. "This snow is going to be more widespread than the last one," he said, noting that Tacoma will get more accumulation this time around, perhaps 4 inches or more. UPDATE, 10 a.m. Feb. 8: Parts of Western Washington are already seeing snow flurries, and the National Weather Service has issued a winter storm warning from noon today until 4 p.m. tomorrow throughout the Puget Sound region. Winter advisories are in effect for the rest of Western Washington, including the coast and north interior. Logan Johnson, a meteorologist in the weather service’s Seattle office, talked with Morning Edition host Kirsten Kendrick about the latest updates. Seattle meteorologist Logan Johnson talks with Morning Edition host Kirsten Kendrick about the latest storm updates. “This is not yet the main event that we’re experiencing,” Johnson said of Friday’s early flurries and light accumulation in the Seattle metro area. “Things will get started in earnest here a little bit earlier than what we thought yesterday, so we are expecting that rough commute to be earlier in the afternoon." The agency's best advice, Johnson added, is for commuters to adjust travel plans to be off the roads by the afternoon. School districts around the region are releasing students early today in anticipation of dangerous road conditions. The state Department of Transportation has advised drivers to give snow plows plenty of space while they clear highways. Snow is expected to continue through tonight and wrap up tomorrow. The Seattle metro area is expected to see anywhere from 4 to 6 inches, with high spots of 8 to 10 inches, Johnson said. Heavier snow this afternoon and evening will be the focus of the storm’s accumulation, he noted. High winds are also expected during the storm, with gusts of 35 to 45 mph in western Whatcom County and the San Juans. High winds are anticipated elsewhere near the water. More snow is forecast for Monday, with sustained low temperatures and snow accumulation primarily from Seattle south, Johnson said: “So that will be something to watch." As for airports, the regional Transportation Security Administration says travelers are arriving early, causing security delays. A spokesperson said in a tweet Friday that travelers are advised to arrive early, and that many airlines have waived change fees for customers looking to fly out ahead of the storm. Many airlines @SeaTacAirport have waived change fees to allow travelers to fly out ahead of the snow storm predicted for later today. This has brought a rush of people to the airport. TSA is fully staffed and all security lanes are currently open. Plan ahead and arrive early. In Seattle, the municipal court will close at 1 p.m. in anticipation of the severe weather. “At this time, we are planning to hold as scheduled our in-custody arraignment calendar on Saturday, Feb. 9, 2019 in King County Jail Courtroom 2,” spokesman Gary Ireland said in an email Thursday. Grocery stores experienced high volumes of customers late Thursday and into Friday. Stores were racing to restock shelves and manage lengthy lines. UPDATE, 1 p.m. Feb. 8 from KNKX reporter Ashley Gross: As snow picks up in the region, officials are advising that people leave for home as soon as possible; employers are encouraged to be flexible with people’s work schedules. Seattle Fire Chief Harold Scoggins is warning people not to use ovens or barbecues to heat their homes. Reporter Ashley Gross shares heating safety tips from Harold Scoggins, chief of the Seattle Fire Department. People also should be aware that space heaters can overheat — and even catch fire — if they’re used continuously for too long. Officials encourage people to check the functionality of carbon monoxide and smoke detectors. And if you see a downed power line, you should presume that it’s dangerous and alert the local power utility. Officials also are warning drivers to stay home and use chains if they must drive. King County Metro is putting chains on all of its buses for this afternoon’s commute. Seattle Mayor Jenny Durkan is advising people to use common sense and have patience. She and other officials say they’re working hard to keep streets clear, but people should plan on not driving or driving very little over the weekend. Seattle Parks and Recreation is setting up a 24-hour emergency shelter at Garfield Community Center, starting at 3 pm today and open till Monday. It will have 138 cots and food will be provided. UPDATE, 2:50 p.m. Feb. 8: Seattle Mayor Jenny Durkan says the city’s transportation department was working overnight to pre-treat about 1,100 lane miles of roads. Durkan urges people to avoid driving this weekend and recommends keeping sidewalks clear. She also says not to sled on streets, stressing that one person on a sled was hit by a car recently. Seattle Mayor Jenny Durkan says the city can't plow every road. Seattle’s Human Services Department is providing additional emergency resources in response to the storm. The extra measures are being taken a day after a 59-year-old man died from hypothermia, the King County Medical Examiner reported. Unsheltered individuals are encouraged to go inside during the severe weather. Seattle Center Exhibition Hall (301 Mercer St.) severe weather shelter has been extended through Sunday, Feb. 17. Garfield Community Center (2323 E. Cherry St.) has been opened as a warming and overnight emergency shelter for families with children, as well as people living in vehicles. Adults are welcome at this facility as well. This shelter will operate 24 hours a day through the morning of Monday, Feb. 11. The Seattle Center Armory is scheduled to be open as a warming center until 10 p.m. tonight (Feb. 8), 7 a.m.-10 p.m. Saturday, and 7 a.m.-9 p.m. Sunday through Thursday. Call 206-684-7200 for more information. Jason Johnson is with the city’s Human Services Department. He says the Garfield shelter has 138 cots available and that families with children will receive priority. "I'm encouraging everyone who is living outdoors and experiencing homelesness to please go inside," he said. "We want to make sure that you're safe." Mary’s Place also has expanded shelters for families and will be opening a shelter downtown. For access, call the King County Coordinated Family Intake Line at 206-245-1026. Seattle’s Navigation Team and city police are contacting individuals living in unmanaged encampments throughout Seattle, connecting people to shelter. Seattle Police Department has two large transportation vans and can bring people to shelter. And the city’s outreach provider network has made contact throughout the week ahead of the storm, to provide clothing and cold-weather supplies to unsheltered individuals. See the resources section below for a full list of available shelters. UPDATE, 3 p.m. Feb. 8: King County Metro announced it will reduce service Friday in preparation for snowy conditions. Read more here. UPDATE, 3:10 p.m. Feb. 8: Gov. Jay Inslee declared a state of emergency Friday afternoon as a result of the severe storm. "Everyone in (Washington) needs to focus on preparing for the snow and staying safe," the governor tweeted. Sam Zimbabwe, Seattle's new director of transportation, is advising people to drive as little as possible. UPDATE, 5:40 p.m. Feb. 8: With heavy snowfall across the region, King County Executive Dow Constantine directed Metro to shift bus service to the Emergency Snow Network (ESN) starting Saturday, Feb. 9, reducing service to just 60 core routes that the City of Seattle and other jurisdictions prioritized for snow and ice removal. The ESN will be effective at 4 a.m. tomorrow until further notice. More information here. UPDATE, 9:15 a.m. Feb. 9: Early Saturday, Puget Sound Energy reported about 41,000 customers were without power. Seattle City Light reported about 15,000 customer outages early on, and about 300 still lingered as of 7 a.m.; Clallam County PUD reported 1,500 outages at that time. Accidents are starting to pop up more around the region. Port Angeles and Sequim have seen as much as a foot-and-a-half of snow, and Dana Felton with the National Weather Service in Seattle says that accumulation is more than originally anticipated. Other areas are seeing predicted amounts of snow. Western Washington could see another few inches today along with windy conditions. The region will see a short break this afternoon into tomorrow night, before the snow returns Sunday night into Monday morning. Interstate 90 is now closed on the east side of the mountains between the Kittitas and King County line and the Vantage Bridge. That's about a 20-mile stretch. Semi-truck spinouts were blocking the roadway early Saturday. Traffic cameras showed sweeping low visibility, and the state Department of Transportation has no timeline for when the road will reopen. UPDATE, 10:15 a.m. Feb. 9: Crews with Puget Sound Energy are trying to restore power for roughly 47,000 customers. Continued snowfall and wind have meant more outages throughout the morning. Andrew Padula, a spokesman for PSE, tells KNKX that getting into certain neighborhoods has proven challenging. "We did prepare earlier this week and had our crews make sure we had chains for their vehicles, also any type of traction devices,” Padula said. “We also had some of those snow cats ready to reach the backcountry power lines. So, we were trying to prepare for all of that. But, obviously, we don't know where the outages are going to occur until they start occurring. So, we're starting to see issues with just trying to get to some of these locations." Thurston County appears to be the hardest hit area right now. Padula says he's asking customers to be patient as power the company works to restore power. Take a look at this winter wonderland at Frontier Park in Graham. The area has about 8 inches, according to @NWSSeattle. UPDATE, 12:15 p.m. Feb. 9: The northern peninsula seems to be hit the hardest by snowfall, with accumulations of nearly two feet in some places, according to the National Weather Service. KNKX producer Ariel Van Cleave talked with Ed Evans, news director at KSQM in Sequim, who has 16 inches so far at his house. KNKX producer Ariel Van Cleave talks with Ed Evans, news director at KSQM in Sequim. KNKX weather expert Cliff Mass says we’re not done with the storms. In a blog post Saturday, Mass said high winds and bone-chilling cold is ahead in the forecast. Some areas of the San Juan Islands will see wind chills below zero. “This is dangerous stuff,” Mass wrote. Oh, and there’s even more snow on the way. The “Big Kahuna,” as he called it, is expected to come in early Tuesday. The 24-hour snow total ending at 4 p.m. that day is “scary,” Mass stressed: 8-12 inches. “We are talking feet of snow,” Mass wrote. A fallen tree in North Tacoma on Saturday morning. 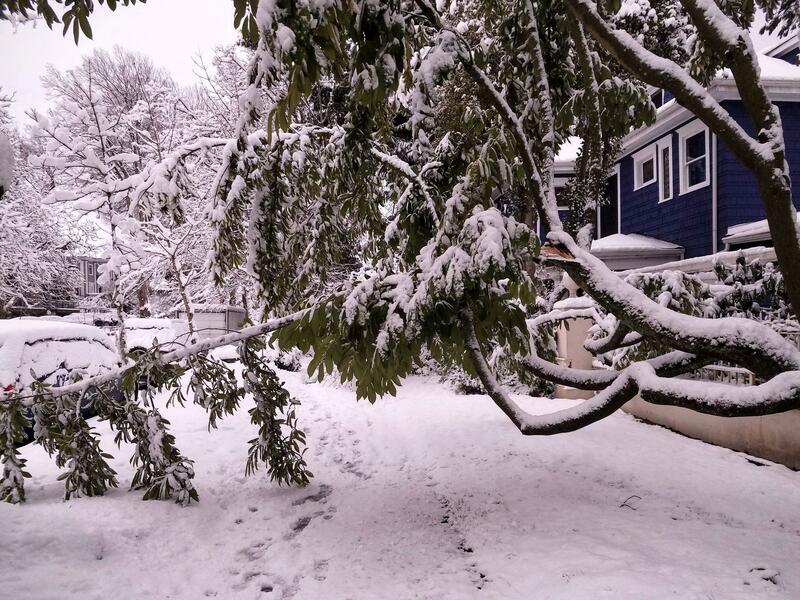 Officials across the Puget Sound region are warning people about the risk of falling branches. Seattle officials are working to limit the impact of the winter storm, according to a release from the mayor’s office. Residents are encouraged to sign up for updates and emergency notifications from AlertSeattle. The Seattle Department of Transportation are still operating on alternating 12-hour shifts. As of 10:45 a.m., 34 snow vehicles were out on the city’s major arterials with plows, salt spreaders and de-icing trucks. Additionally, 14 hand crews were responding to sidewalk issues in the city center and downtown areas. “Our goal is to prevent ice buildup, with an ultimate goal of achieving ‘bare and wet’ pavement conditions,” the release states. Customer service centers – Central, Lake City, Southeast and University – will be closed today. Friday night, 11 people stayed at the Garfield Community Center severe weather shelter; 18 people were transported to shelter as a result of the city’s Navigation Team outreach last night. Human Services staff also are checking in with high-risk aging and disability services clients. Anyone with downed power lines is advised to keep a safe distance and report it to Seattle City Light at 206-684-3000 or 911. Seattle parks are open, though officials encourage visitors to use caution due to risk of falling branches. UPDATE, 3:25 p.m. Feb. 9: The snowstorm has brought headaches for many travelers and a lot of extra work for emergency management officials. But for kids, it's been a rare treat. In West Seattle, kids staked out a hill near Madison Middle School for sledding and even some skiing. "We usually get like one snow day a year, and definitely not like 8 inches," Jack Henzke said. "So this is way out of the ordinary." He and Kathleen Slee talked with KNKX reporter Ashley Gross. Kathleen Slee and Jack Henzke take a break from sledding in West Seattle to talk with KNKX reporter Ashley Gross. UPDATE, 4:10 p.m. Feb. 9: Gig Harbor-based Peninsula Light Co. tweeted Saturday afternoon that it's experiencing an outage across its entire service area. We have lost service to our entire service area. We are actively working with Tacoma Power to identify the issue and restoration as quickly as possible. We will continue to work on the identified outages on our distribution system in the meantime. UPDATE, 2:15 p.m. Feb. 10: Sunday is reportedly quieter than the previous two days around the Puget Sound region. Flurries were reported in the afternoon in Olympia and Tacoma, and the forecast shows another 1-3 inches today. In the Seattle area, many bus routes remain closed and officials are still warning people to stay off the roads unless absolutely necessary. Tomorrow looks more serious, with up to 8 inches of snow in some parts of the region. It could turn to rain and sleet at some point, though, which would lower those totals quite a bit. According to the National Weather Service in Seattle, the region has only seen significant back-to-back rounds of snowfall like this once in the past few decades, and that was the big winter storm of 2012. UPDATE, 3:30 p.m. Feb. 10: Many school districts across Western Washington have already canceled Monday classes and activities. Below is a list of closures, though it isn’t complete. Consult your local districts for more detailed information. We will update as new information develops. UPDATE, 6:30 p.m. Feb. 10: Olympia correspondent Austin Jenkins reports the state Legislature won't hold hearings tomorrow, a significant and rare move. UPDATE, 9:20 a.m. Feb. 11: The Seattle area got more snow when another weather system passed through the region late Sunday. The metro area is expecting another 1-3 inches today, before the precipitation changes to rain or rain-snow mix late Monday. Mayor Jenny Durkan talked to Morning Edition host Kirsten Kendrick about how the city is handling the snow. Seattle Mayor Jenny Durkan talks with Morning Edition host Kirsten Kendrick. Kendrick also talked to meteorologist Kirby Cook with the National Weather Service office in Seattle early Monday. “We’re looking at another challenging weather day,” Cook said. Tonight and tomorrow, Cook said the snow level will rise. Everywhere below 500 feet from Everett southward should see rain. We get a break tomorrow afternoon into Wednesday. Temperatures will remain cold and dry, until another system moves in Thursday night into Friday. Seattle meteorologist Kirby Cook talks with Morning Edition host Kirsten Kendrick. Seattle Municipal Court announced early Monday that it would close for the day, though in-custody arraignments were still scheduled in King County Jail Courtroom 2. UPDATE, 11:45 a.m. Feb. 11: A spokeswoman with the state Department of Transportation says demolition of the Alaskan Way Viaduct, which was initially scheduled to begin tomorrow, has been delayed. UPDATE, 1:30 p.m. Feb. 11: Weather expert Cliff Mass says the end is near for the winter storm, though there is still a lot of uncertainty in the forecast. His latest blog post predicts a shift in precipitation heading into Tuesday. The National Weather Service office in Seattle tweeted that the changeover may occur in the next few hours. UPDATE, 2 p.m. Feb. 11: At a news conference Monday afternoon, Gov. Jay Inslee said there are lessons to be learned from the snow storm, particularly when it comes to taxing high earners in the state. “When a state has enormous pockets of wealth, to have a system where we can take care of homeless people and they’re not dying of exposure, I hope that’s a lesson we take from this snow storm," he said. Gov. Jay Inslee talks about what lawmakers can learn from the snow storm, as it relates to the state's highest earners. UPDATE, 3:25 p.m. Feb. 11: As Western Washington continues to face challenging winter weather, the chief of the state patrol is warning drivers to exercise plenty of caution. State troopers have responded to more than 3,000 collisions since the snow started more than a week ago, said Chief John Batiste. Several troopers have been hit and injured while in their vehicles, including one incident in Spokane involving someone driving under the influence. Batiste says none of the injuries were life-threatening, but he's asking drivers to do what they can to keep roads safe. Place greater distances between yourself and the vehicle in front of you, and be very cognizant at all times. Please put your phones down, pay attention to your driving, and for god's sake please don't drive under the influence. Despite the spike in incidents, Gov. Jay Inslee says traffic volumes have been down by more than half in recent days. Local officials are on the lookout for what may come once temperatures warm and snow turns to rain. Seattle Public Utilities officials urge people to clear storm drains of ice to prevent flooding. Seattle Mayor Jenny Durkan says city crews are preparing for the possibility of saturated ground giving way. Durkan says freezing rain also poses a threat. She says tree branches can become heavy with ice and then snap, falling on power lines. She says Seattle City Light has been resting some of its crews to be able to respond and make repairs if that happens. A spokesperson for the utility urges people to stay away from downed lines and assume that they're dangerous. People can call Seattle City Light's customer service line to report any downed power lines. Meanwhile, King County officials are dealing with effects across a large swath of unincorporated areas. Crews are working around the clock in 12-hour shifts, plowing 8,700 lane miles of road using 28 trucks. Reagan Dunn, vice chair of the King County Council representing District 9, told All Things Considered host Ed Ronco about the challenges facing drivers in more rural areas outside cities. King County Council member Reagan Dunn talks with All Things Considered host Ed Ronco about conditions in unincorporated, rural areas. He stressed that, if counted together, that population would be the equivalent of Washington’s second-largest city. “We talk a lot about the Puget Sound region, but the foothills particularly are a very different beast,” Dunn said, due to snowier microclimates that are further away from Puget Sound. “We really work hard here in King County to try and make sure that they aren’t forgotten about in major storms like this,” he said of residents in those unincorporated areas. UPDATE, 5:15 p.m. Feb. 11: Seattle-Tacoma International Airport was experiencing heavy snowfall and low visibility Monday afternoon, as crews scrambled to keep conditions under control. Airport spokesman Perry Cooper talked to All Things Considered host Ed Ronco about the measures being taken. He also talked about the double-time technique plows are using to keep runways clear, and the type of weather that causes the most headaches. Listen to the full conversation below. Sea-Tac Airport spokesman Perry Cooper talks with All Things Considered host Ed Ronco. Here are some courtesy photos from @PortofSeattle. Very low visibility at @SeaTacAirport today. UPDATE, 6 p.m. Feb. 11: All public schools in Seattle and Tacoma are closed Tuesday, both districts announced late Monday. Be sure to check resources made available by your local districts to get the latest on school delays and closures. UPDATE, 12:45 p.m. Feb. 12: Following record snowfall the past week, officials are warning of the big melt that’s coming to the region. People are encouraged to clear storm drains as melting progresses. Drivers must continue with caution, as the evening commute is expected to be treacherous. And residents are urged to clear driveways and walkways before the next freeze. Sweeping power outages continued Tuesday, as a result of heavy snow covering trees. Crews across the region have been hard at work around the clock, with plows prioritizing main arterials and school routes. Metro buses continue to operate on reduced schedules. Seen in the Genesee neighborhood in West Seattle. A semi truck tried going up a hill and slid all the way down. — 4.2 inches has fallen at @SeaTacAirport. — Troopers in Pierce & Thurston responded to 37 collisions & 56 abandoned cars. — Pierce deputies called to 25 wrecks & 12 abandoned cars. For the latest forecasts, consult the National Weather Service website. For information on road and pass conditions, as well as ferries, visit the state Department of Transportation website or the Seattle Department of Transportation site for an interactive, up-to-the-minute map of plowed streets. The Federal Aviation Administration will provide information on flight delays or cancellations. Sound Transit will provide updates on public transportation delays. People concerned about an individual living unsheltered in Seattle may call 211, a resource line that can help connect an individual to resources. When the 211 line isn’t open, the 24-hour crisis line (866-427-4747) can provide information on the city’s warming shelters. Here is a full list of shelters. Here's a blog with shelter information beyond Seattle. KNKX Public Radio will bring you updates throughout the storm. 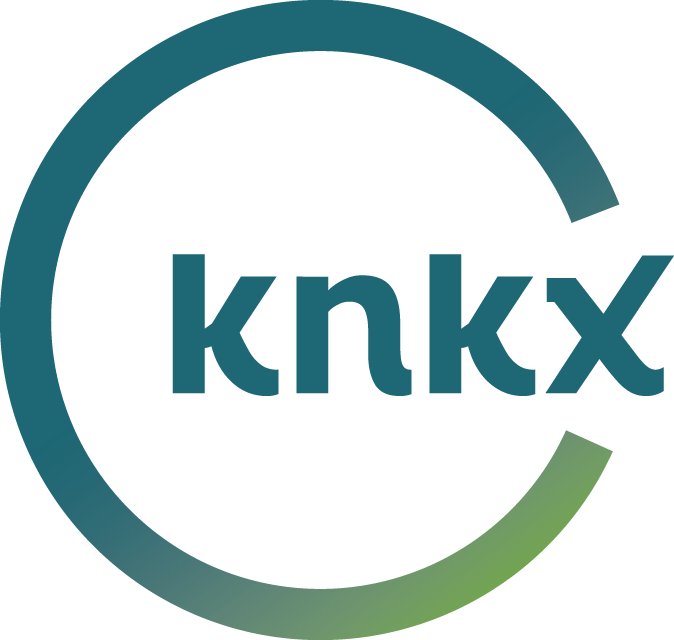 Listen to 88.5 FM or “play KNKX” on your smart speaker all weekend long, or stream online here. We will continue to provide updates on conditions and resources at knkx.org. This post is developing. Check back for updates.